New α-aminophosphonates bearing 1,2,3-triazolyl moiety were easily synthesized by one-pot reaction of 1-aryl-1H-1,2,3-triazole-4-carbaldehydes, anilines and trimethyl phosphite in good to excellent yields. All the synthesized compounds were characterized by IR, 1H NMR and 13C NMR analysis. 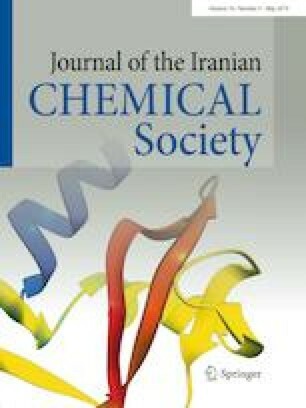 These novel 1,2,3-triazole-incorporated α-aminophosphonates may be potential biological compounds due to the presence of both important moieties, 1,2,3-triazole and aminophosphonates. The online version of this article ( https://doi.org/10.1007/s13738-018-1571-0) contains supplementary material, which is available to authorized users. The authors A.B.D. and S.V.A. are very much grateful to the University Grants Commission (UGC) and Council of Scientific and Industrial Research (CSIR), New Delhi, respectively for the award of research fellowship. The authors are also thankful to the Department of Chemistry, Dr. Babasaheb Ambedkar Marathwada University, Aurangabad-431 004, India for providing laboratory facilities.